This cycling route runs along the Vietnam Eastern Sea, a part of Pacific Ocean, nominated by Lonely Planet experts as “Top Ten World’s best Cycling routes“. The cyclist will experience different terrains as plain, mountains, sandy trails and get by many wild beaches and handicraft villages. The bikes are also printing the wheels on the steps of Vietnam history. They will visit Thang Long Royal Citadel, Hoa Lu ancient capital, Hai Van Ocean Cloud Pass separating North and South Vietnam, My Lai the most famous massacre during Vietnam War. Especially, the main road he’s cycling is Vietnam National Road 1A, which used to be the Mandarin road during feudal times and the only road all Vietnamese people at least 1 time go on. This is a road of history ! 4 UNESCO World Heritages are included: Thang Long Royal Citadel, Hue Imperial city, Hoi An Old town, some Champa towers in Central Vietnam. experience of road use or easy trails. Children 10+yrs riding solo. Expert bikers who will expect and relish technical challenges. Welcome at Noi Bai International Airport by our English speaking tour guide and private transferred to Hanoi city center for hotel checking-in. At 16:00, a private Electric car will pick you up from the hotel, driving you and the tour guide around Hanoi Old quarter. In 1 hour, you are driven around 28 old streets in the area with stops to visit Dong Xuan market, the oldest market of Hanoi; Bach Ma temple worshipping 1 of 4 former guardians of the city; Old House 87 Ma May street; Kim Ngan communal house of “Silver” village; Hang Gai “Silk” street, King Ly Thai To statue, Ngoc Son temple and walk around Hoan Kiem lake. See you off at your hotel. Private transfer for a welcome dinner at a local restaurant nearby. Enjoy breakfast in the hotel. Today is a warm-up test for starters. At 8:00 am, we start cycling from your hotel 4km to visit Ho Chi Minh mausoleum/ or museum, One Pillar pagoda and House-on-stilts where Vietnam former President Ho Chi Minh lived and worked from 1958-1969. Take a short ride to Thang Long Royal Citadel, a UNESCO World Heritage Site which was the former king’s palaces during Vietnam feudal times. Visiting the excavation area nearby where thousands of artifacts are awakening. Cycling to the West Lake nearby to enjoy lunch at a local restaurant (lunch is paid by yourselves). Hanoi is the “city of lakes” and West Lake is the largest lake of Hanoi. West Lake is also a religious area of the city with dozens of pagodas, temples and old villages. After lunch time, you will start cycling from the restaurant on the way around the lake to Tran Quoc pagoda, the oldest pagoda of North Vietnam founded 1,400 years ago during Kind Ly Nam De empire. Continue riding to West Lake Palace “Phu Tay Ho” worshipping Mother of Goddess, 1 of 4 most legendary characters of Vietnam. Also cycling to Lotus Pond, lotus is the national flower to take photos during sunset (best time from July to October). End the lake round 27km and cycling back to your hotel. Note: This cycling round doesn’t require stamina so you please avoid wearing tight and short clothes like short skirts or short clothes when visiting pagodas/temples. Also don’t make noise when you’re in the pagodas. Start cycling on the National Road 1A nicknamed “the Mandarin Road” in feudal times linking Hanoi and Saigon. Leaving the bustling city behind, you will cycle speedy through rice fields, lakes of Phu Ly and Ha Nam province. Stop in Phu Ly city to enjoy a light lunch with speciality “Banh cuon cha nuong” Grilled-pork with soft-noodles. Continue cycling to Ninh Binh a famous tourism center of North Vietnam. Arrive at Tam Coc at around 15:00 and visit Thai Vi temple worshipping General Tran Hung Dao who led Vietnam army to defeat Mongolian invaders 3 times in the 13th century. Check in your hotel in Tam Coc and free relaxation in Tam Coc town in the evening. Overnight in Tam Coc. Morning check out hotel. 8:30 Start cycling from Tam Coc through the rural villages to Van Long. This provides you a typical image of North Vietnam countryside with banyan tree, lush rice fields, children swimming on river, buffalo swamping in mud, listening to the sound of bamboo trees. Stop to visit Hoa Lu the ancient capital of Vietnam during the 10th century. Visit King Dinh and King Le temple and climb-up Ma Yen mountain to take the landscape photos of Truong Yen valley. You arrive at Van Long Nature Reserve at around 14:00. Embark the 1-hour boating in Van Long. It’s the largest watery reserve of North Vietnam but actually, only 1 small part is opened to tourists. However, you still enjoy the landscape of thousands of birds, wild monkeys and even some Red Book as belodstomatid there. Enjoy the tranquility boating in a serenity settings. Cycling back to Ninh Binh Railway station. Say goodbye to the tour guide, technician then take the night train Reunification Train code SE1 from Ninh Binh 21:00 to Hue 07:48 next morning. Upon arrival at Hue Railway station, you meet our local guide in Hue then private car transfer to a nearby restaurant for refreshment and breakfast. After breakfast, you will take a boat trip on the Perfume River to peaceful Thien Mu Pagoda and then proceeds to picturesque mausoleum of King Minh Mang. As the park-like facility grave was finished, he withdrew more and more come back here and cared no longer about his government. Visit the spectacular Royal Citadel and the Meridian, the court for imperial ceremonies, the Hall of Supreme Harmony, the built in memory of the Nguyen emperors Temple, Nine Dynastic Urns and the Forbidden City, the Imperial family was the subject. Afternoon, you leave Hue. We cycle South to the ancient port town of Hoi An with visits to the Cham Museum in Da Nang en route. Arrival the ancient port town of Hoi An – was declared a World Culture Heritage site by UNESCO in late 1999. It is a fascinating combination of Vietnamese traditional characters with Chinese and Japanese influence. Overnight at hotel in Hoi An. 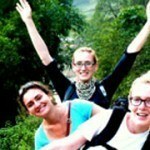 Morning check out Hoi An then private van transfer with your bikes to Da Nang bus station. Take the local Mai Linh Express bus to Quang Ngai city (140km). 10km before you enter Quang Ngai city, we disembark the bus and start cycling along the National Road No.1A crossing Tra Khuc river to Quang Ngai city. 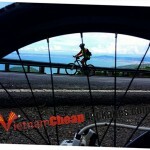 Cycling uphills to Thien An mountain, 100m above sea level, the highest spot of Quang Ngai city. Visit Thien An pagoda on the peak and the tomb of Huynh Thuc Khang, a famous nationalist devoting his life for Vietnam Revolutionary and also the 1st former Vice President of Vietnam. Cycling downhill to the East and stop to visit My Lai – Son Tinh village, the vestige and remnants recalling the tragedy massacre in March 1968 killing 504 villagers by American troops. Know more about Vietnam War and the most tearful chapter the war affected the locals’ life. Check in your hotel and overnight in Quang Ngai city. After breakfast, you check out the hotel. To shorten the distance from Quang Ngai to Quy Nhon, we take local Mai Linh Express bus (sharing with local people – http://www.mailinhexpress.vn/) from Quang Ngai bus station to Quy Nhon. Our guide will tell the driver to drop us off at Go Gang conical hat village on the outskirts of Quy Nhon city. The bus journey takes around 4 hour from 9:00 to 13:00. Stop to visit Go Gang conical hat making village, the most famous handicraft village of Binh Dinh province. Start the last 50km with cycling along the coastline of Thi Nai bay and Nhon Hoi beach following the National Road 19B. Cycle through Thi Nai bridge, the longest bridge crossing Eastern sea of Vietnam. Check in and overnight in a beachside hotel in Quy Nhon. Free beach leisure. Overnight in Quy Nhon. 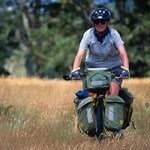 Today mus be the most expected cycling day of our tour. You will cycle through the most beautiful beaches and untouched corners of National Road 1D & 1A of Vietnam. After breakfast, you check out the hotel, then start cycling along the Road 1D to Cu Mong swamp and Song Cau town. Cycling along the edge of Xuan Dai bay before stop to visit Mang Lang Church where still keeps the first documents written in Vietnam-Latin language, the source of Vietnam modern language. Know more about Christian religion of Vietnam. Cycling to Ghenh Da Dia round-dish Reef, a large rock ground formed by magma thousand years ago. Impressive for its formation and the strking landscape, we’re sure this magnetic rock ground make you impressed so much. Ideal for photo hunting. Continue cycling to Tuy Hoa city. Check in and overnight in hotel in Tuy Hoa. After breakfast, you’re transferred to Tuy Hoa airport for the onwards flight to Saigon. Meet on arrival at Saigon / Tan Son Nhat Airport and transfer to hotel for check in. Morning transfer to visit the War Remnants Museum. Stop at the famous Ben Thanh market. Take your memorial photos in front of the City’s Committee Hall, the symbol of Saigon. Free afternoon at your own leisure. In the evening, you will enjoy water puppet show at Rong Vang theatre, the living portrait of Vietnamese history and culture. Have sumptous buffet dinner with traditional music show on Bonsai cruise on Saigon river, casting your views at the splendid city at night. Transfer back to your hotel. Overnight at hotel in Ho Chi Minh. Free at leisure until transfer to Ho Chi Minh airport (no guide). Transit then take your departure flight. Say goodbye to Vietnam and see you next time ! Sightseeing and entrance fee at all mentioned sites. International airfare with airport taxes. Vietnam stamp fees paid at the airport for visa upon arrival US$ 45/person for single entry visa. Meals that not mentioned in the program.